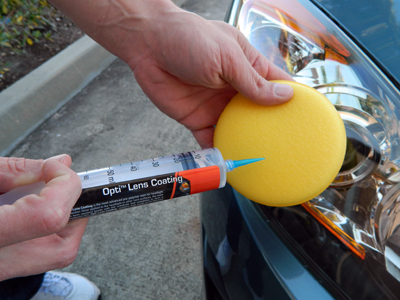 Home > Exterior Car Care > Car Paint, Glass, Wheel & Trim Coatings > Optimum Opti-Lens Permanent Headlight Coating Free Bonus! 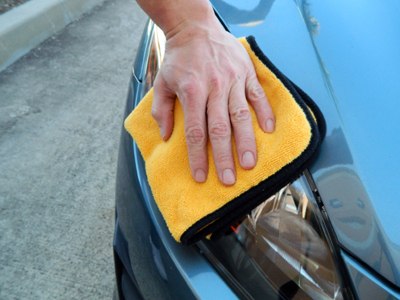 Includes poly-foam applicator and 16 x 16 inch Gold Plush microfiber towel! SO FAR THIS PRODUCT HAS SEEMED TO DO EXACTLY WHAT IT WAS MADE FOR. WE JUST STARTED USING IT A FEW MONTHS BACK SO WILL BE LOOKING FORWARD TO SEEING SOME RESULTS IN A YEAR FROM NOW. THE ORDERING PROCESS WAS VERY EASY AND IT WAS SHIPPED TO US VERY QUICKLY, WE APPRECIATE THAT. Polished my wife and my headlights and applied 2 coats of lens sealer which required very little product. Product went on very easy and clear. Will update after a few months for longevity. ProsEasy to use and can also use on black plastic trim. ConsA bit pricey, but worth it if it lasts as claimed. 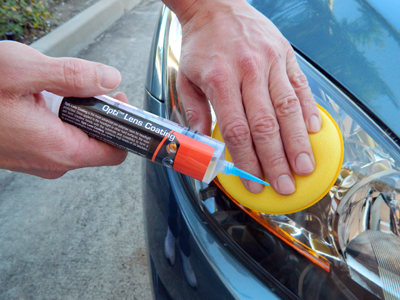 I ordered this as it seems to be the longest lasting sealant, which is the downfall of most headlight restoration kits. You can use any kit of your choice to restore the plastic, then use this as the sealant instead of the supplied sealants with the kits. At this price though, I didn't want to waste any in a foam pad for applying it, so I transferred it to a small spray bottle. I think I used only 3 sprays per headlight and it spreads itself out to layer the whole thing, and was easier to put on than wiping it on, and probably leaves a thicker coating. BUT, this product cannot be left in a spray bottle, as the next time I checked it, it had completely hardened in the bottle. It's something I should have seen coming, and I don't blame it on the product, but in the future may just be applying it with a foam applicator. As far as longevity, I have seen the customer's car I did after about two months, and not a hint of yellowing yet. For a comparison, another customer's car I detailed at the same time in the same complex had some noticeable yellowing of her headlights. I didn't do a headlight restoration, but the yellowing came out almost completely just during the polishing process on the car itself, but two months later the headlights are pretty yellow again. So for the short 2 month span I was able to witness, there is definitely a difference between Opti-lens vs. no sealant at all.